Hold the Door Open or Not? 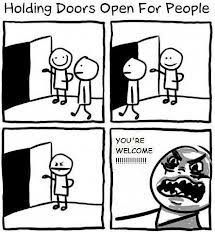 More and more often, I've found myself getting angry after holding doors open for people in public places. It can happen at McDonald's or Roppongi, Ross or Macy's, with old people or young people, white, black, orange, or purple people. It seems like too many have forgotten the manners of holding doors open for other people. For instance, just today, as I was walking out of Party City, I held the door open for my two boys who were following behind me as we were leaving, and two strangers walked right into the store after my kids walked out while I was still opening the door. No "thank you", no "excuse me", or nod the the head or eye contact as an acknowledgement for me opening the door for them. It's been a long while since Garcia Family has visited a Daphne's California Greek restaurant. Thanks to the kinds folks over at Daphne's, we were able to try out a few of their menu items, most especially the new Cali-Greek Bowl! Cali-Greek bowl takes its inspiration from Greek cuisine and adds a refreshing, contemporary California flair. The Cali-Greek Bowl begins with a choice of citrus brown rice or rice pilaf, black beans, guacamole, salsa fresca, crisp jalapeno bacon, Greek yogurt chipotle sauce and a choice of grilled chicken, savory gyros or falafel. 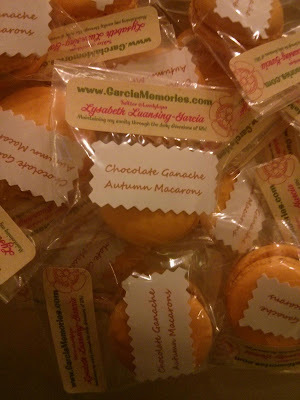 I had mine with grilled chicken and it was very filling! I would've liked more salsa fresca, with less beans and rice. The bowl would be yum with or without the bacon. Other than that, this dish definitely is a mix of California and Greek flavors! Since my son started kindergarten, I've been a bit overwhelmed with the numerous activities at my son's school. Parent meetings, fundraisers and social events seem like they happen every other day. Ok, maybe that is an exaggeration but there is lots of activity at my son's school which I wish I had the time and energy to be involved in. But, I did volunteer as a room parent and I'm learning the ropes as quickly as I can. Jelo, my kindergartner, said to me the other day, "Mommy, why don't you volunteer in my class like the other mommies do?" His question broke my heart. As much as I wish I could volunteer time in his classroom, I had to explain, "I have to work, baby, so we have a house, food, and get to do all the fun things we do. I can't be there in the classroom with you but I can do things from home like send emails, make flyers, and bake for your fundraisers. Is that OK?" He responded "OK, mom..." and gave me a big hug! Halloween Bash at Seaport Village! One of the must visit spots in San Diego is Seaport Village! I have memories of visiting Seaport Village as a child. My mom and dad used to take us to lunch at Greek Island Cafe. It is still one of my favorite places to eat! Anytime we have out of town guests, Seaport Village is a must! It's one of the top spots for our Garcia Family to enjoy the sights of San Diego. Celebrate the arrival of fall at Seaport Village, where San Diegans are invited to join the fun at Seaport’s third annual Halloween Bash on the Bay on Saturday, October 26, from 1 to 5 p.m. A week of deals and events leading up to the fall festival will honor San Diego locals from October 21-26. The third annual celebration invites little monsters, pirates, witches and superheroes out to the village for an afternoon of fall festivities, including photos with a living scarecrow, costume contest for kids and pets, music including a monster mash band and Thriller DJ, and games for kids. A few months back, McDonald's Happy Meal gave out Kids Bop CDs as the fun "prize" in the box. My kids insisted we listen to that CD every time we got into the car for weeks. It drove me crazy! Eventually, I made up something about the car wash people misplacing the CD so that was the end of the Kids Bop obsession, or so I thought. Recently, the boys were reminded of their Kids Bop CD when they saw the TV commercial for the latest "Kids Bop 24" CD. They bugged and bugged and bugged. I gave in. Thanks to Google Play, the download was quick and easy! Kids Bop 24 is now the only thing we've listened to in the car for the past three weeks! I have to say, it's grown on me! The kid friendly versions of Macklemore's "Thrift Store" and Justin Timberlake's "Suit and Tie" have me dancing and driving during our daily morning commute. It's fun to watch my kids sing along. They even say "sing with us mom!" 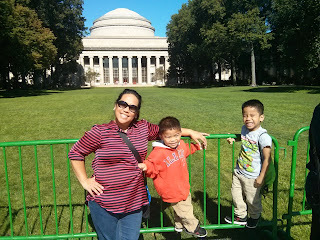 Garcia Family just got back from a week long vacation in Boston! We did so much while we were there! So much so we "need a vacation from our vacation"! I love sharing our family vacations with all of you in hopes you too will visit the fun places we've been too! Since we did so much in Boston, I'll be posting each day of our vacation separately so check back each day for my latest post on our vacation fun! 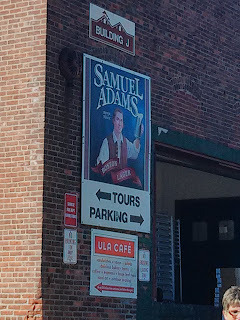 Before we headed home, we had to stop and pay homage to a part of Boston which has changed the world...the Sam Adams Brewery! Being a high school counselor, I wanted to fit a few more college visits during our time in Boston. Every year, I have a few students interested in schools on the East Coast so visiting some of the schools would help me better advise my students. On day five we went on another road trip, this time south of Boston to Plymouth, Massachusetts. Our first stop was Plimouth Plantation where we traveled to the times of the Pilgrims and the native Americans in the 17th century. First we visited the Wampanoag homesite where we sat in one of their homes and listened to stories of life long ago. We saw a demonstration of how meals were prepared and how canoes were made of huge tree trunks.